Despite the fact that eBay claims “you can’t list replicas, fakes, counterfeits, or other illegal copies on eBay,” the fact is that counterfeit and replica law enforcement badges and accompanying identification are being sold on eBay. There are at least 100 eBay listings that are in violation of eBay policy or guidelines for police items and badges. People can even have their fake police identification made to order with the identification, complete with the buyers own name and photo. Basically, this means it’s possible for any bad guy to make his or herself out to be a cop on the cheap. eBay even sells FBI, ATF, and a variety of other replica federal badges, and counterfeit identification bearing the FBI and other federal agency seals. 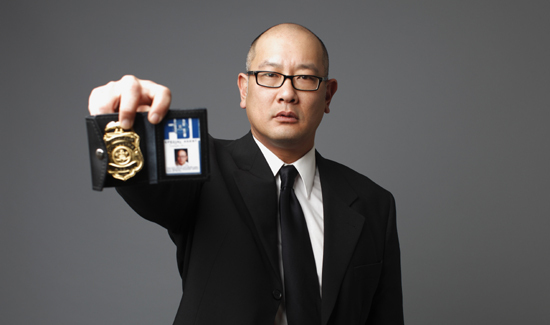 Federal, state, and local laws regulate the sale, purchase, possession, and display of fake badges, but enforcement is lax. A FBI/HSI Bulletin last month solicited the public’s help in locating 34-year-old Roberto Craciunica, indicted for manufacturing and distributing counterfeit FBI, HSI and CIA badges, including trafficking in counterfeit goods and false seals. Interpol in Europe has also issued a Red Notice for Craciunica’s arrest. For more, check out TheCounterfeitReport.com.